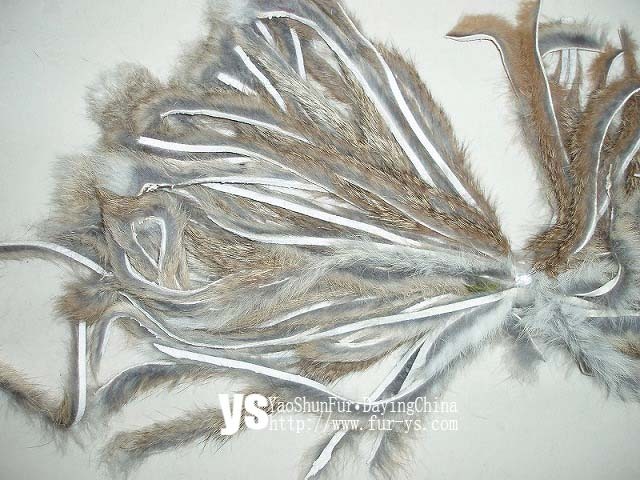 All hides are Grade A and available in three types of cuts. 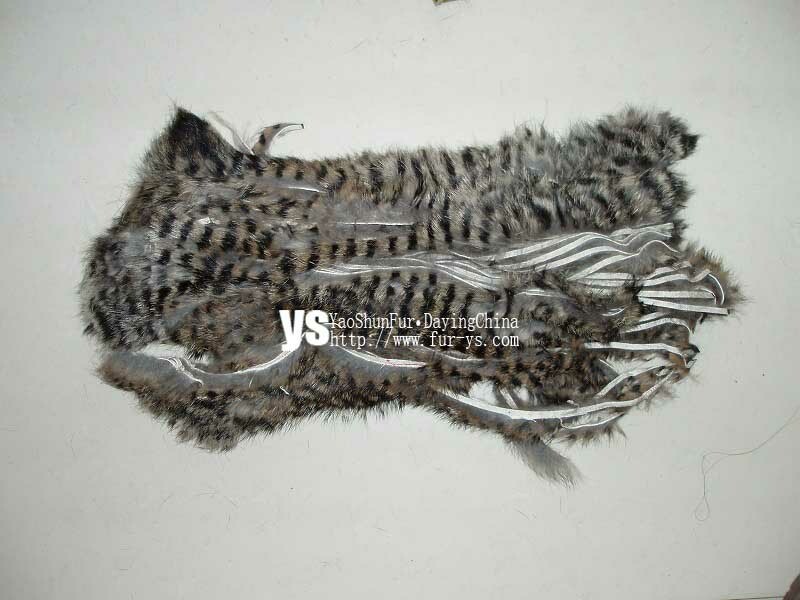 Complete Rabbit Hides Stripped. 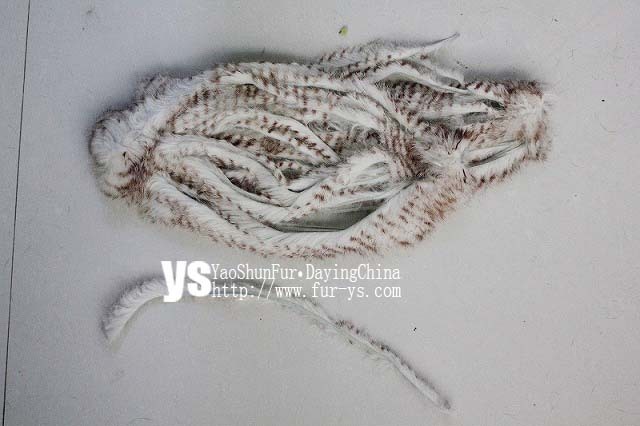 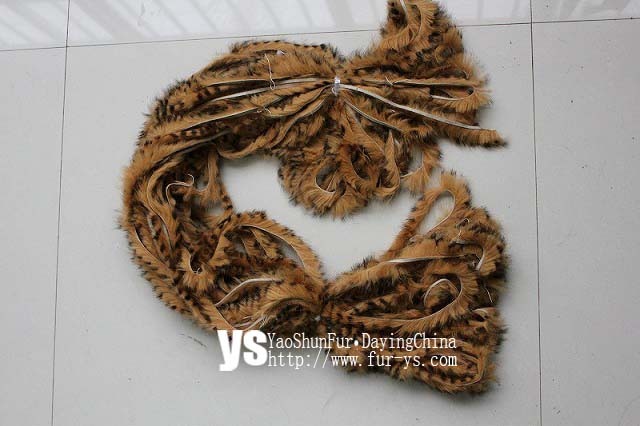 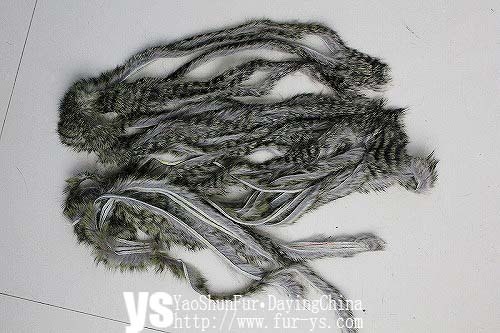 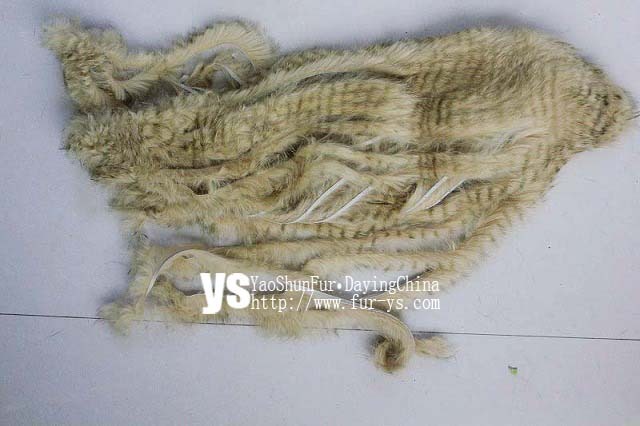 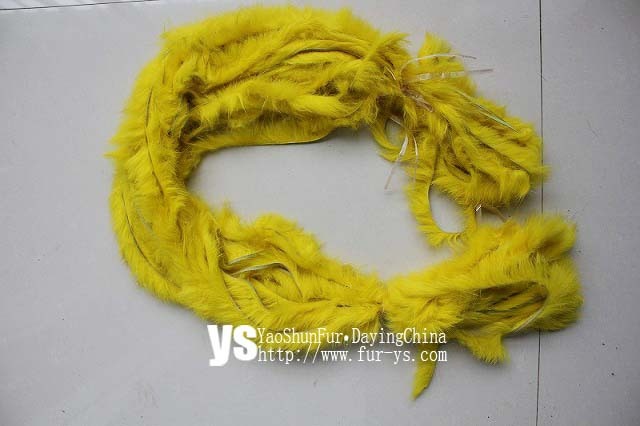 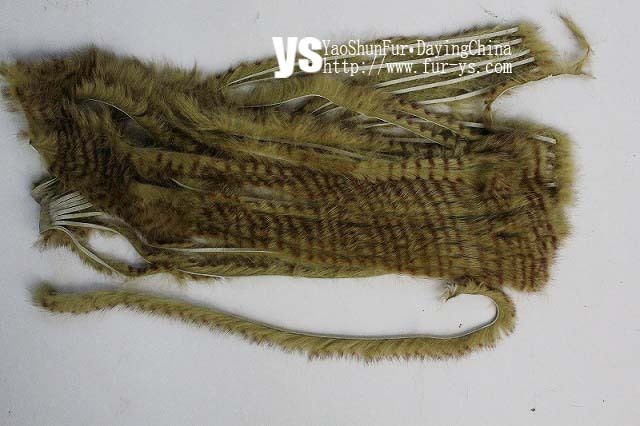 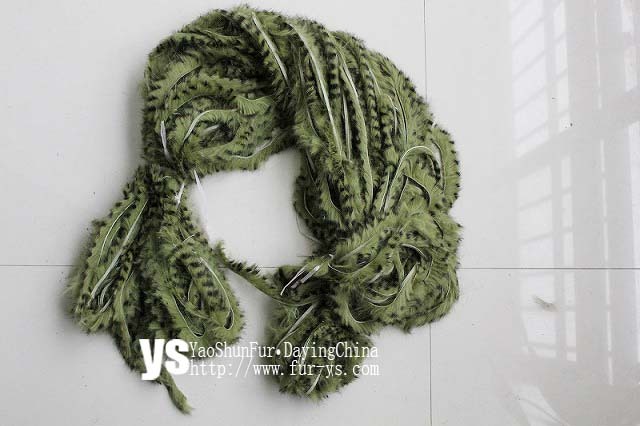 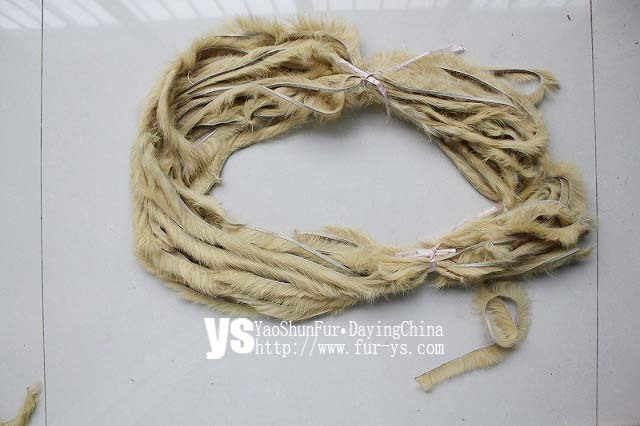 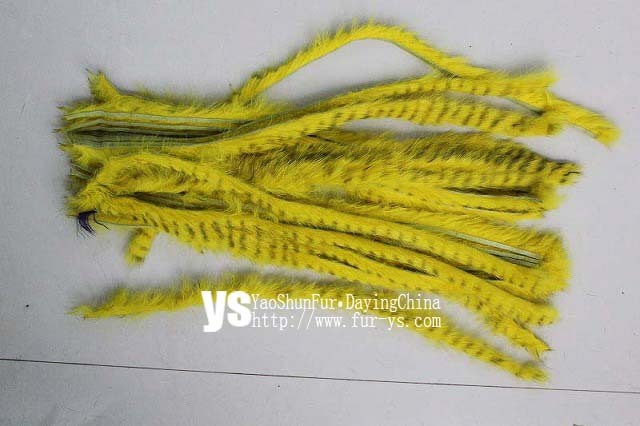 Natural and dyed rabbit hides cut in strips for decorative jewelry, arts and crafts, and costume construction. 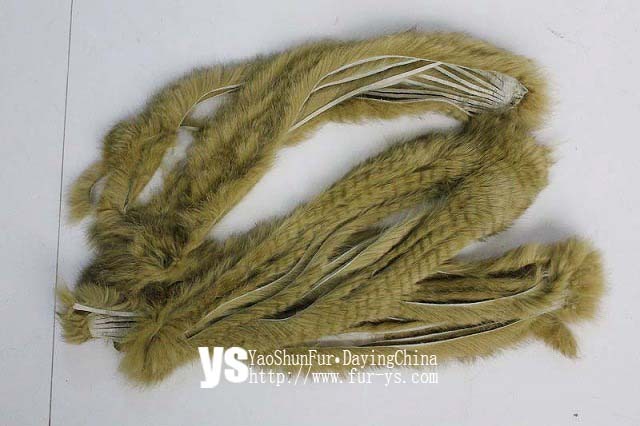 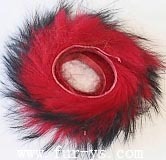 Many costumes and artistic creations that incorporate feathers and fur are greatly enhanced by the use of strips of rabbit hide. 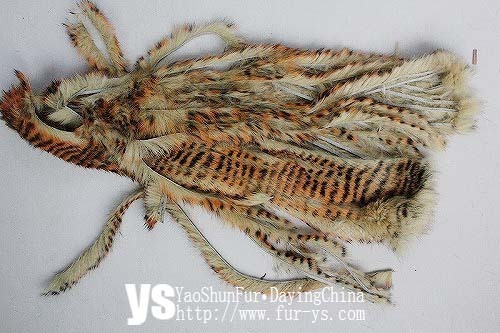 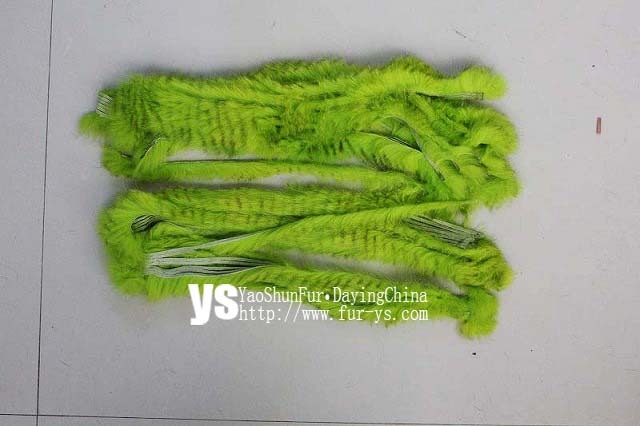 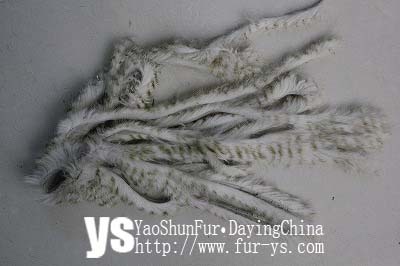 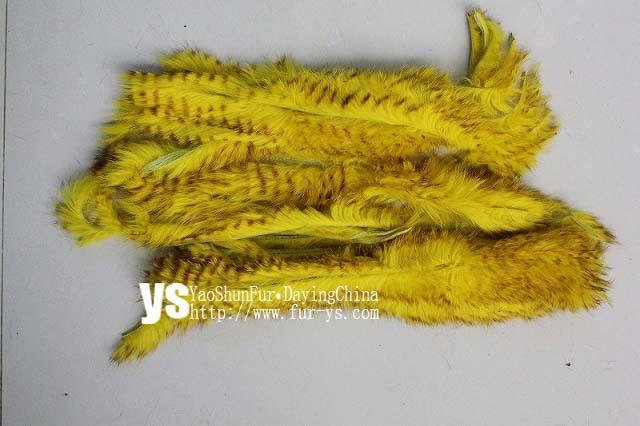 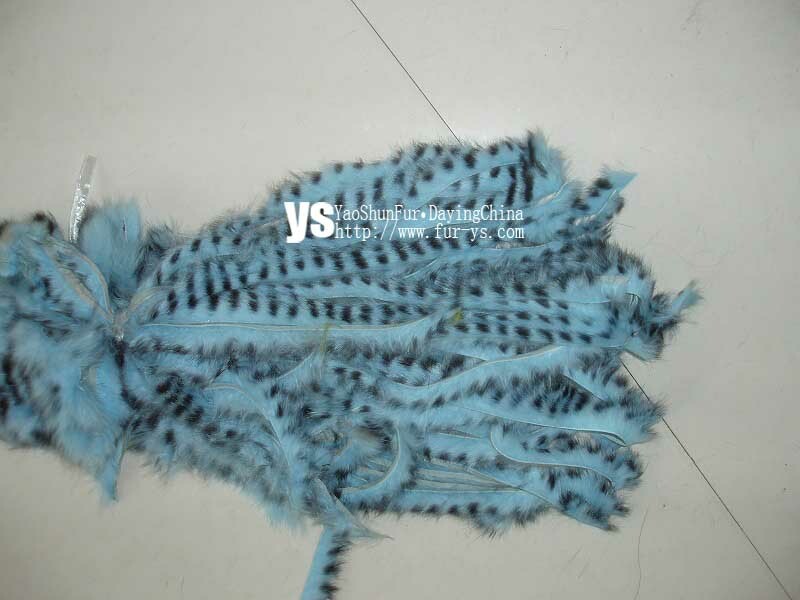 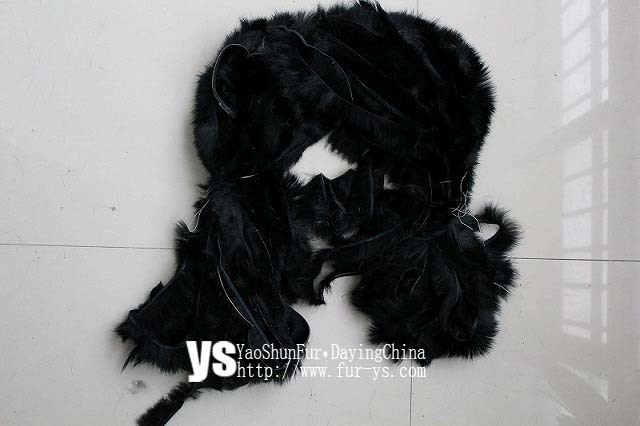 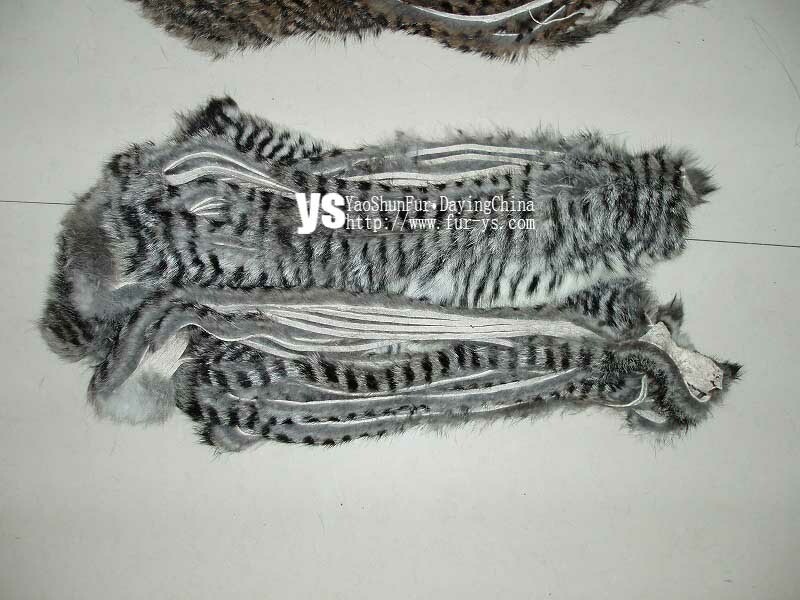 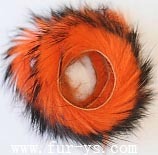 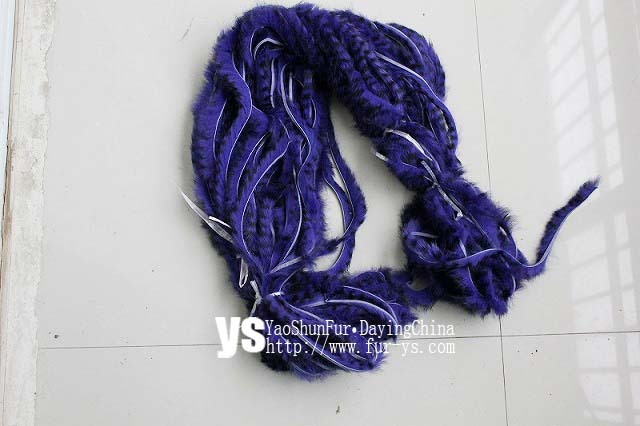 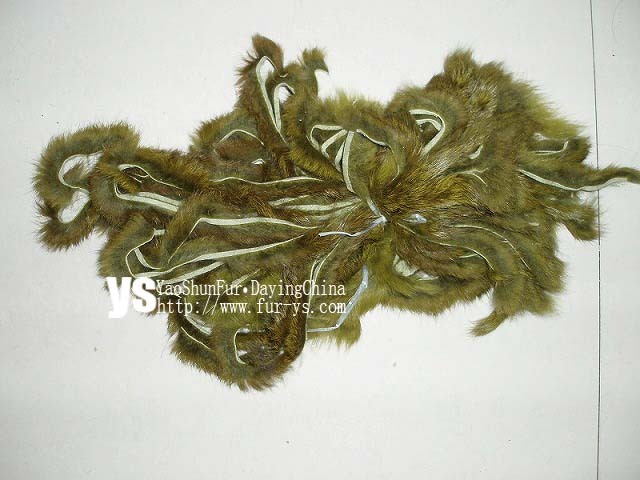 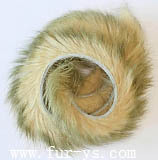 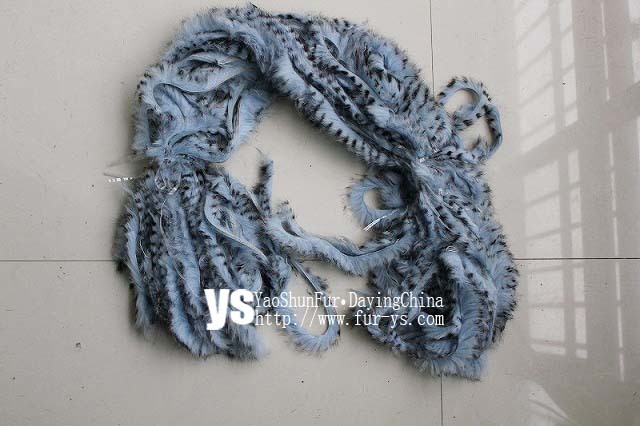 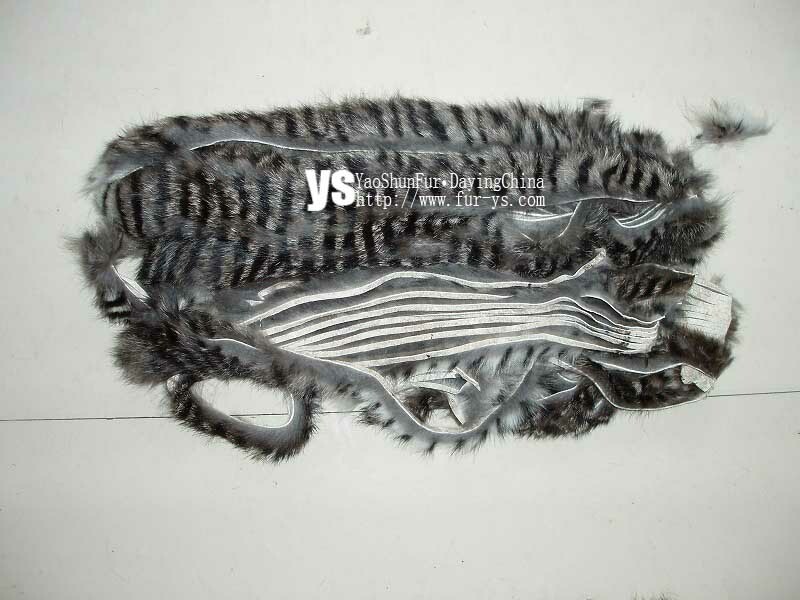 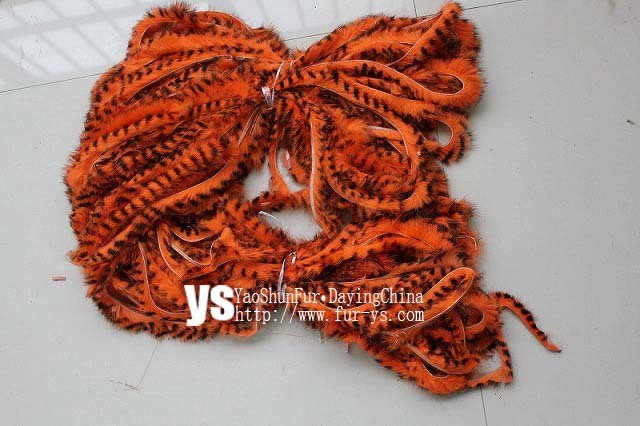 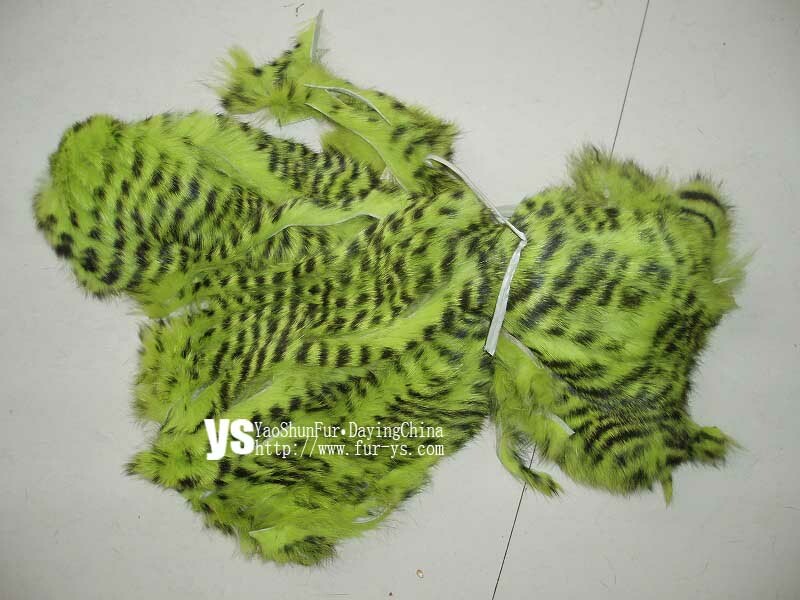 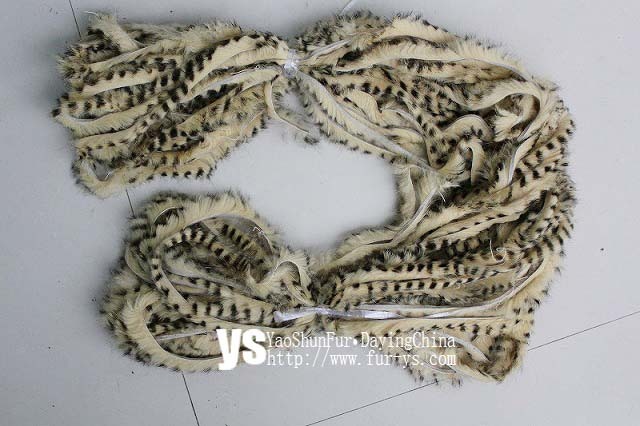 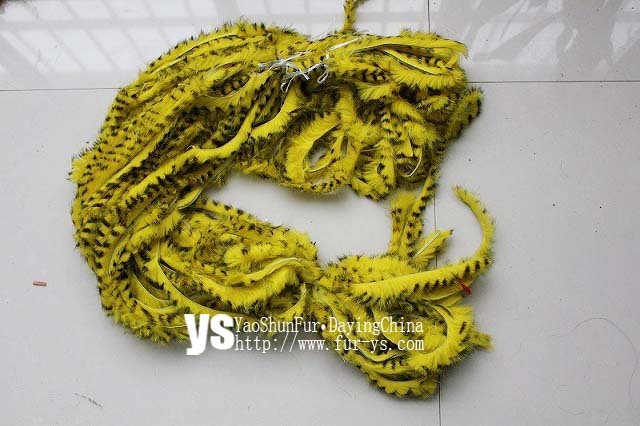 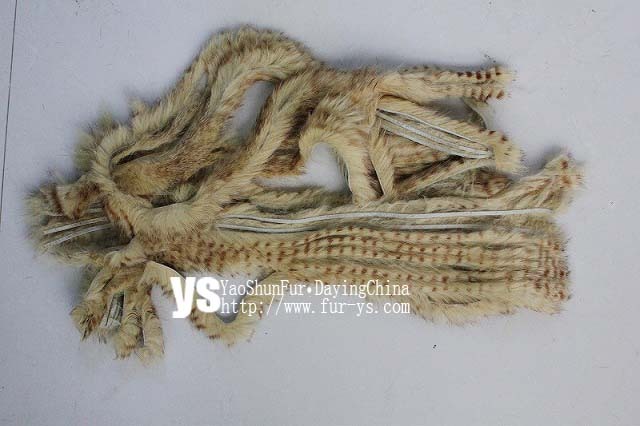 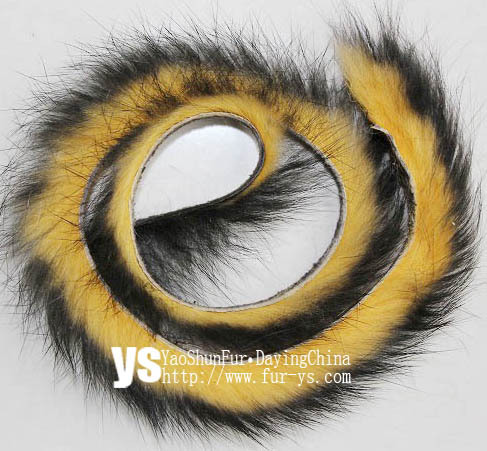 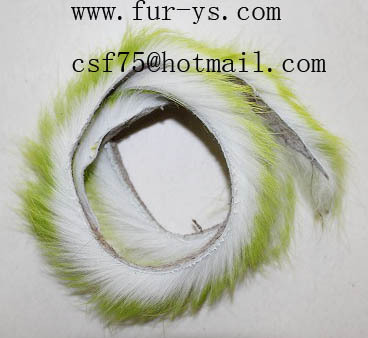 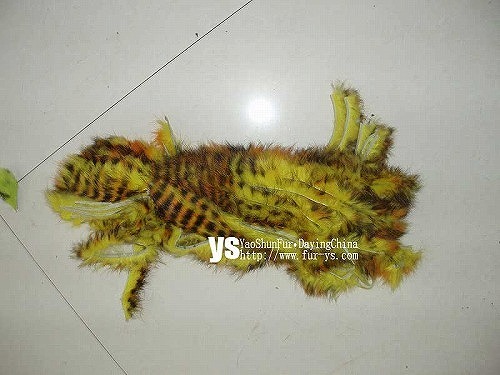 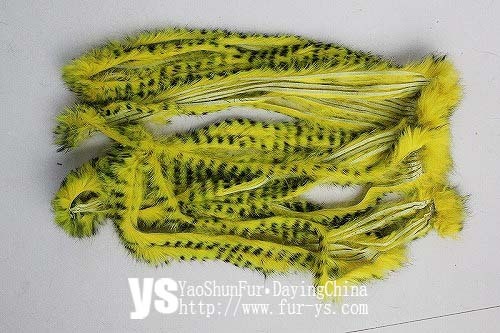 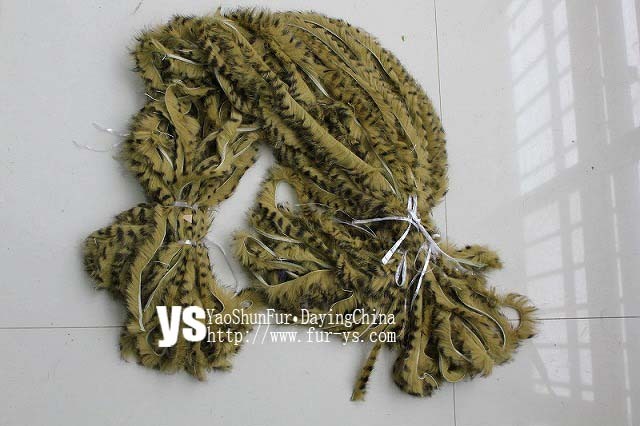 These hides are tanned and are very soft and flexile and the fur is very dense. 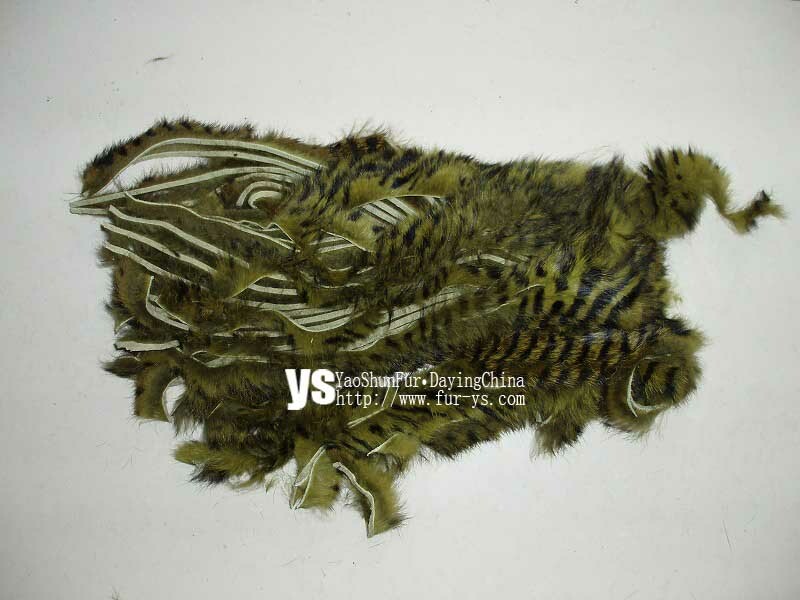 Bred for the highest quality fly tying purposes, these hides are cut into strips with the same direction that the hair lays, and are available in a broad range of natural and brilliantly dyed colors. 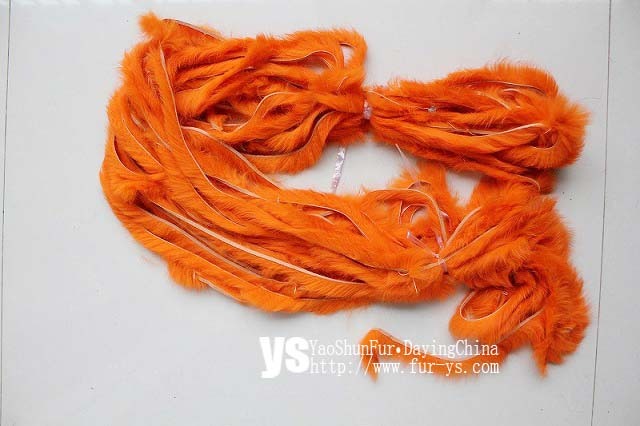 These strips make beautiful fringes and additions to masks, necklaces, wristbands, and other arts and crafts.